But it’s completely gone now. Like it never existed. I think it was something about Kickstarter and how it’s reviving long-dead series and genres (Wasteland 2, a new Tim Schafer adventure game, etc. ), but I’m not really sure. I guess I”ll just do some tab clearing, instead. Falcom posted some samples of the rearranged music from Zero no Kiseki Evolution, their PS Vita full voice remake of the PSP game. Like the most of their music, it sounds great. New this month from Baen Night Shade Books is a sendup of the John Carter of Mars books, called Jane Carver of Waar. Good timing on their part, what with the movie release (which everyone has seen, right?). I may have to buy it. Sony sent out the Super Stardust Delta download codes for PS Vita 3G buyers who signed up for their free month of 3G with AT&T. It’s just as addictive as the PS3 version; you keep playing one more game to try to better your score. Diablo III comes out on May 15. I still haven’t decided if I’m going to buy it. The newest Rurouni Kenshin trailer looks awesome. They even have plans to release it internationally! SNK is getting back into the handheld market with their new Neo Geo X, which comes with 20 Neo Geo games and an SD slot for future expansion. No word on pricing yet, though. I added a link to my Amazon store on the right side of the page under the twitter widget; if you want used imported video games, knock yourself out. I’ll add more to it this week after going through my PS2 collection. Edit: Fixed the publisher for Jane Carver of Waar; it looks like Baen is handling the ebook, and Night Shade Books is publishing the trade paperback. Livin’ la (PS) Vita loca? 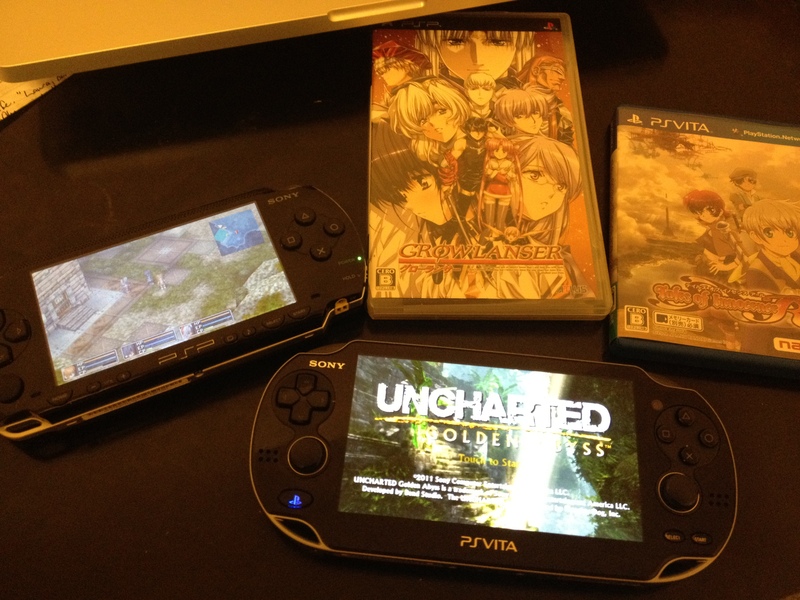 Vita game-wise, I have Tales of Innocence R and Uncharted: Golden Abyss. I also bought a couple Vita-compatible PSP games off the US PSN (Ys: The Oath in Felghana and Ys Seven), and I’ve put in some time on each of them. 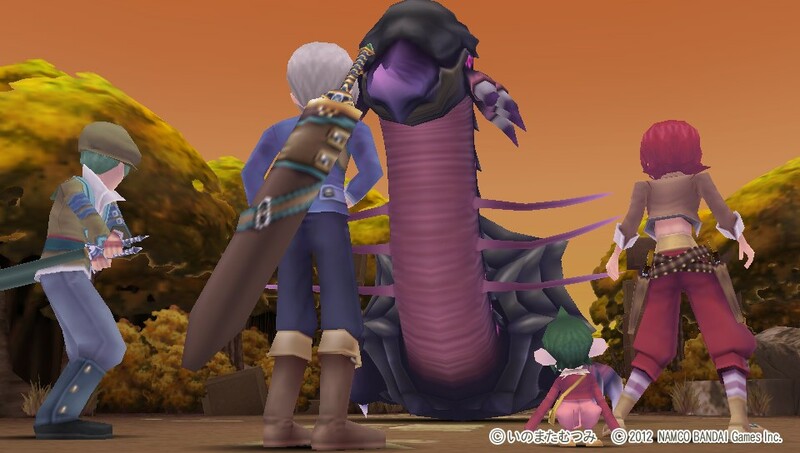 I’m a ways into ToIR, a couple chapters into UGA, and almost to the end of Oath (aside from making sure Ys Seven worked, I haven’t played it), and the PS Vita is great. Unfortunately, the screenshot functionality doesn’t work on PSP games, only on Vita games (at this point, anyway; maybe Sony will patch it so it works later). 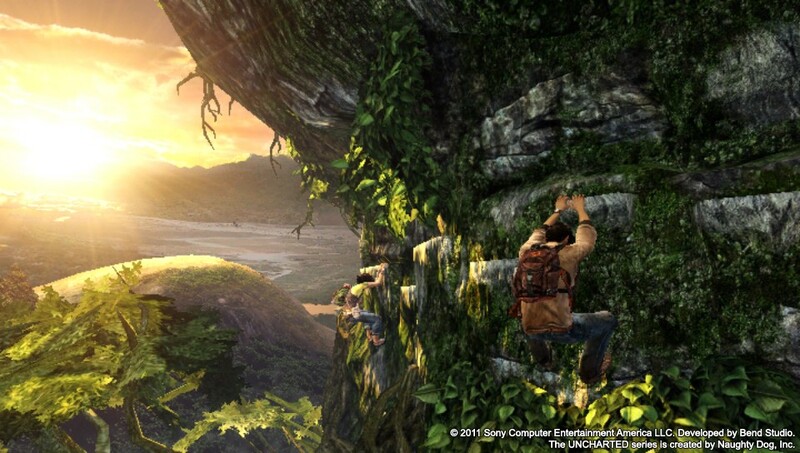 Uncharted looks better on the system than it does in the screenshots (damn compression! ), but ToIR looks about the same. The analog sticks are great, and far better than the slider the PSP had. Even the d-pad is much improved. 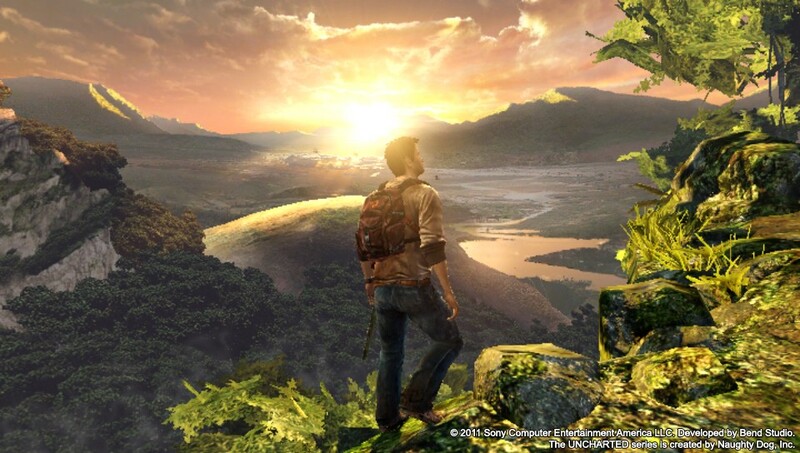 Uncharted falls prey to the same problems most first-party games on new, innovative hardware do; it uses the touch screen, rear touch panel, and gyro controls in gimmicky ways when they’re not really necessary. I should be able to navigate the menu without using the touch screen if I want; balancing with gyro controls as you walk over logs was stupid in Uncharted 1, let alone here (and was rightly absent in UC2 and 3); and having to tap the ammo indicator to reload instead of a button is unintuitive. That said, a couple of the uses of the Vita’s capabilities are actually good: coarse aiming with the analog stick coupled with fine aiming via gryo controls makes targeting enemies a breeze, and using the rear touch pad to control zoom on the sniper rifle is very quick. 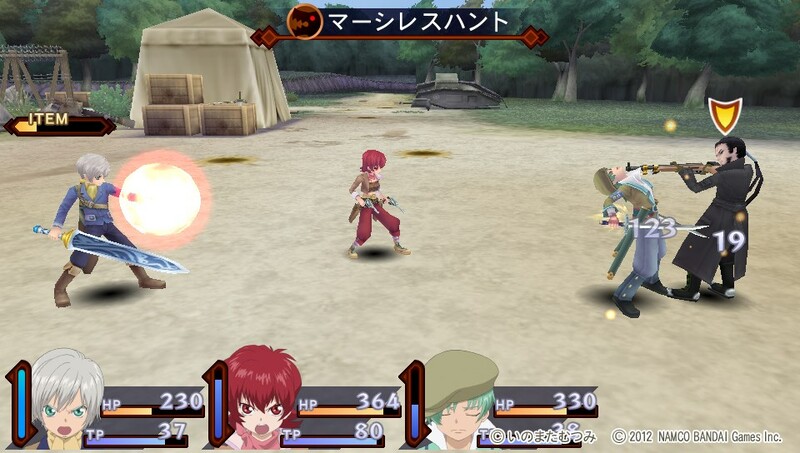 The touch screen is barely used in Tales of Innocence R; you can assign each party member a spell to cast when you tap their portrait during battle. Other than that, it’s only used when saving/loading (which appears to be a Vita system-level requirement, like the PSP save/load system). I’m inclined to believe Namco was working on this “reimagination” for the PSP, and just switched tracks when Vita development was feasible. I’ll play through these games before I get any new Vita software (probably, at least). Until Disgaea 3: Absence of Detention, Gravity Rush, Ys: Woodland of Celceta, and possibly Zero no Kiseki: Evolution come out, I’m not interested in much. Which basically gives me a month (until Disgaea 3), and then another month or two (until Gravity Rush), and then however long for those other games. 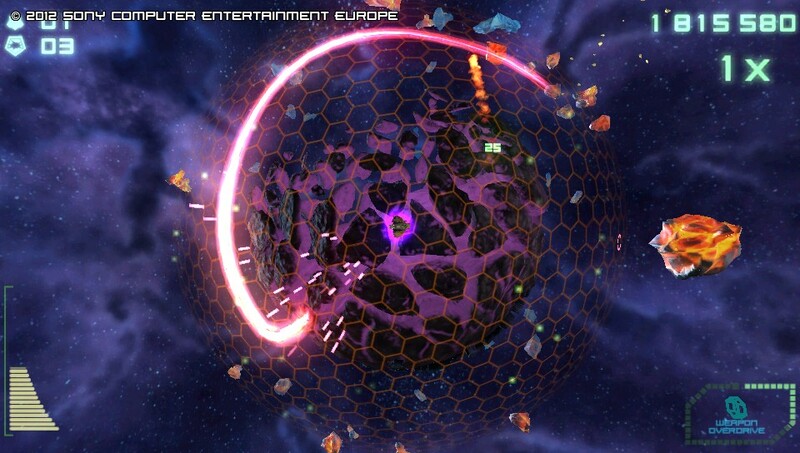 Unless other games pique my interest in the meantime, anyway (Thanks to the launch 3G bundle deal, I’ll get Super Stardust Delta for free in another 3-4 weeks). All in all, I’m pleased with the Vita launch; there are plenty of games in plenty of genres, and while most are worth at least playing the demo, some are actually even good!